Okay, so it’s official! You’re getting married and you’re going to have loads of photos taken as newlyweds. Including a Mr and Mrs sign to your wedding day decor checklist can add a cute and quirky touch to your day – not to mention your photos! And because there are so many fun variations on the Mr and Mrs wedding sign to choose from you’ll have no shortage of options to choose from. These creative and sweet wedding signs can be used for sweet and silly photos, and then be used as your wedding chair signs after. 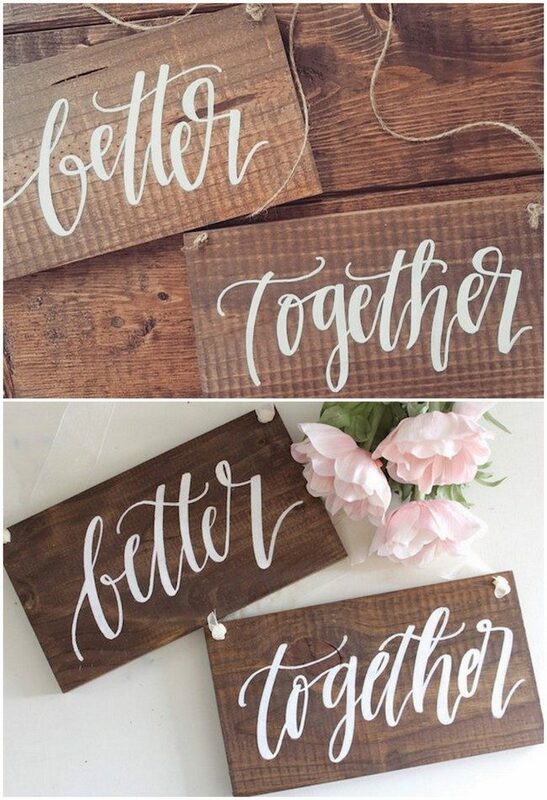 We adore multi-use wedding pieces that can reused, and especially love that these gorgeous signs can also be displayed in your newlywed bedroom after the honeymoon, too! 1. Above. Whaaat?! A love seat for two! 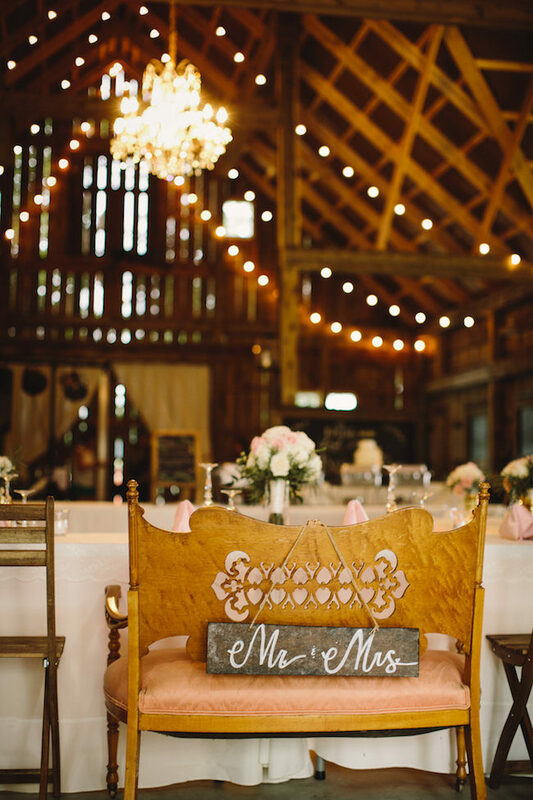 This wooden Mr and Mrs Sign perched upon a lovers bench at the sweetheart table has stolen our hearts! Check out the entire romantic, rustic barn wedding photographed by Jennifer van Elk photography for loads more awesome barn wedding ideas, too! 2. Above. Meneer en Mevrou. These Afrikaans Mr and Mrs Signs available in Cape Town are perfect for your South African wedding! Grab them, along with a load of other cute wedding goodies, from Blooming Wonderful’s online store here. 3. Above. 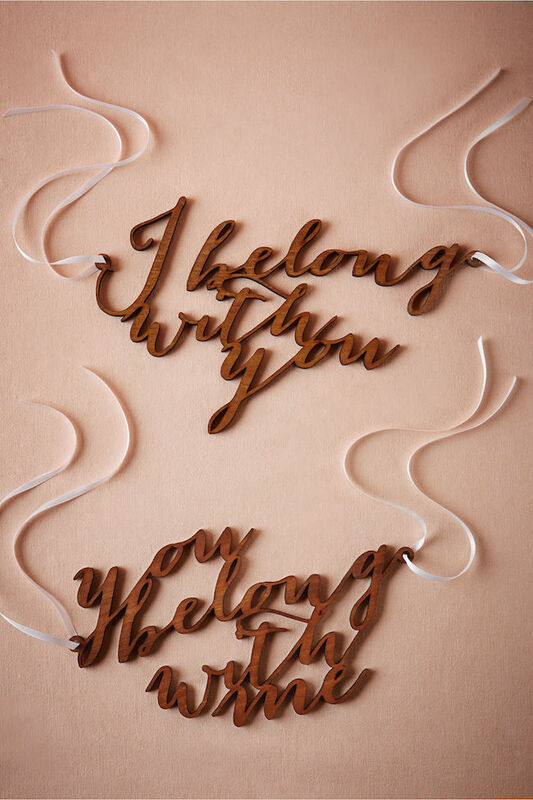 ‘I belong with you’ and ‘You belong with me’ take on Mr and Mrs Signs are written in a sweet script style font, and lazer cut in an organic-style, wooden finish. Get them here. 4. Above. 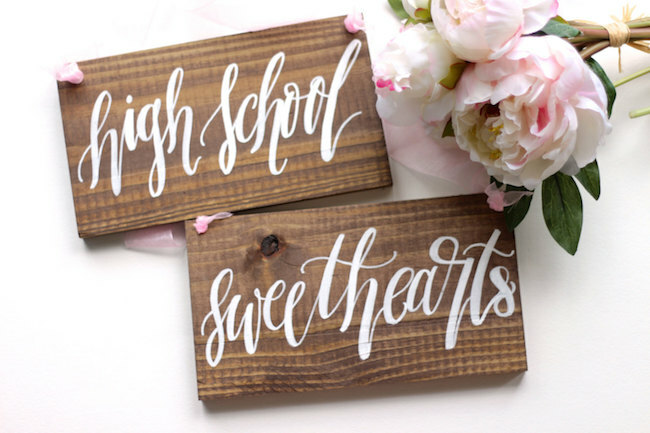 Kinda the perfect option for High School Sweethearts, this variation on the Mr and Mrs Wedding Signs from Mulberry Market Designs is painted in a calligraphy style in white on rustic, wooden board that can be used as chair signs after your photographs too. 5. Above. 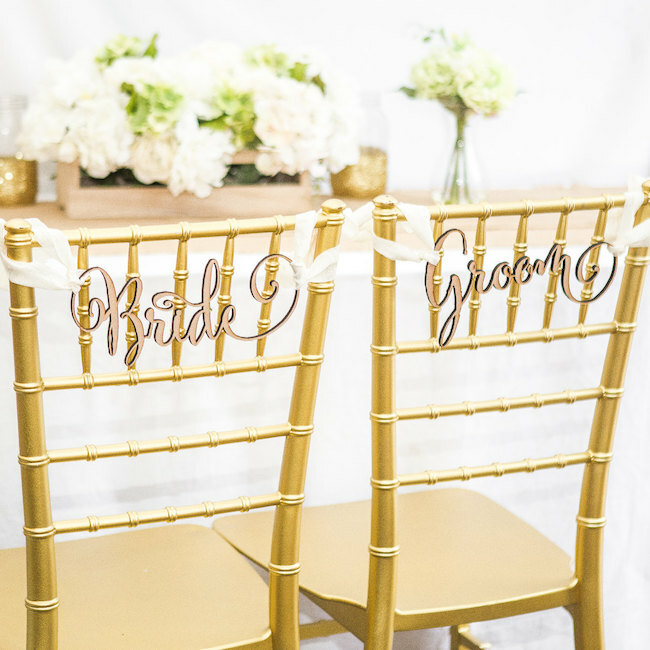 Beautiful script-style stickers, these Bride and Groom Wedding Sign decals from Z Create design can be added to the surface or signage of your choice, making them DIY-delightful! Grab them here. 7. Above. 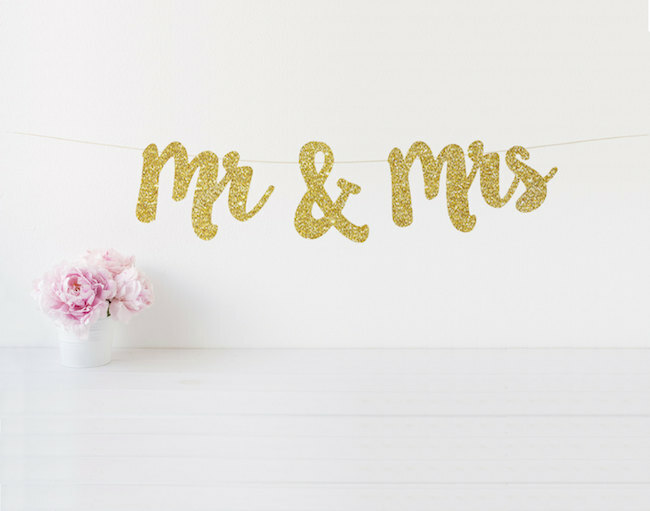 A cutesy fun gold glitter Mr and Mrs Wedding Banner from Bash and Co Party can be customized to use the colors of your wedding day. Add a little sparkle to your celebrations by grabbing them here! 8. Above. A beautiful, woodsy-style variation of the ‘Better Together’ Mr and Mrs Sign from Mulberry Market Designs is oh-so rustic chic! 9. Above. 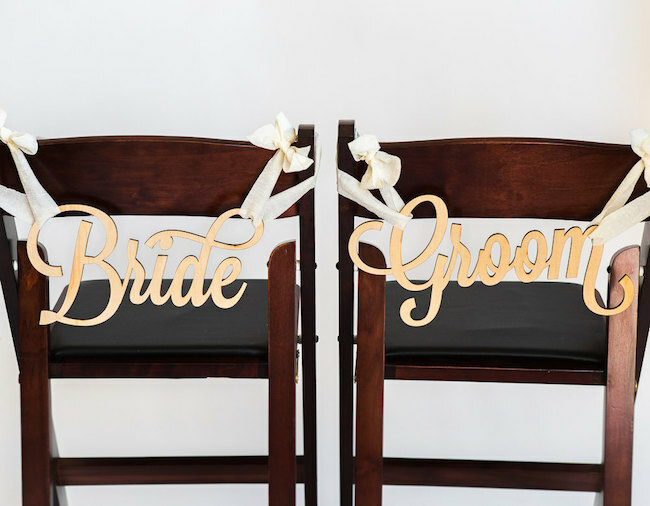 True Love Wedding Chair Signs as if they were written by cupid himself! 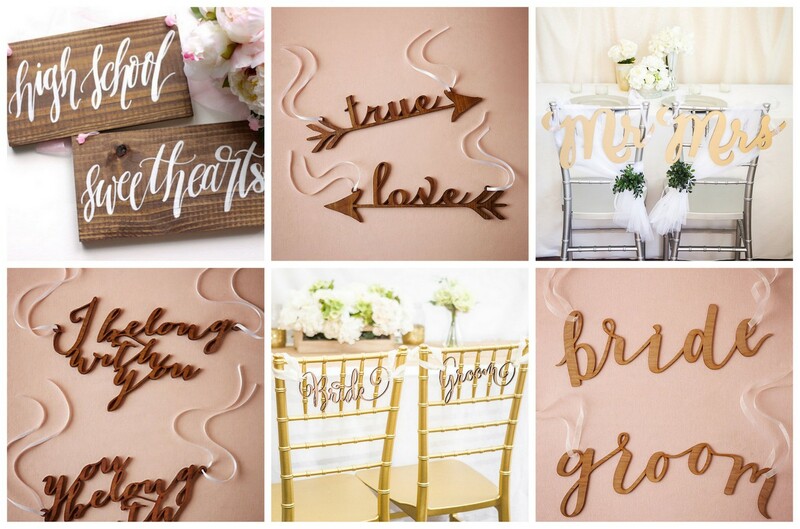 Grab these calligraphy signs for your rustic, woodsy or vintage wedding here. // 10. Above. 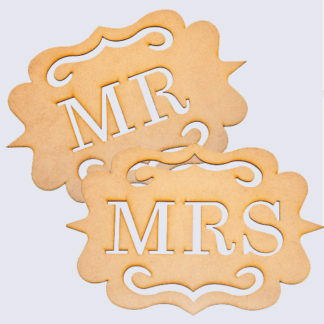 These pretty gold scripted to Have and to Hold Wedding Signs are available online from BHLDN here. 11. Above. 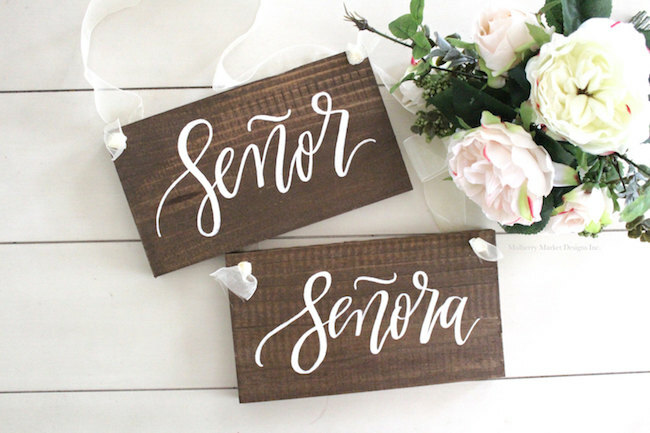 Sweetly Spanish, these rustic Senor and Senora Wedding Signs from Mulberry Market Designs are available for your wedding day here. 12. Above. 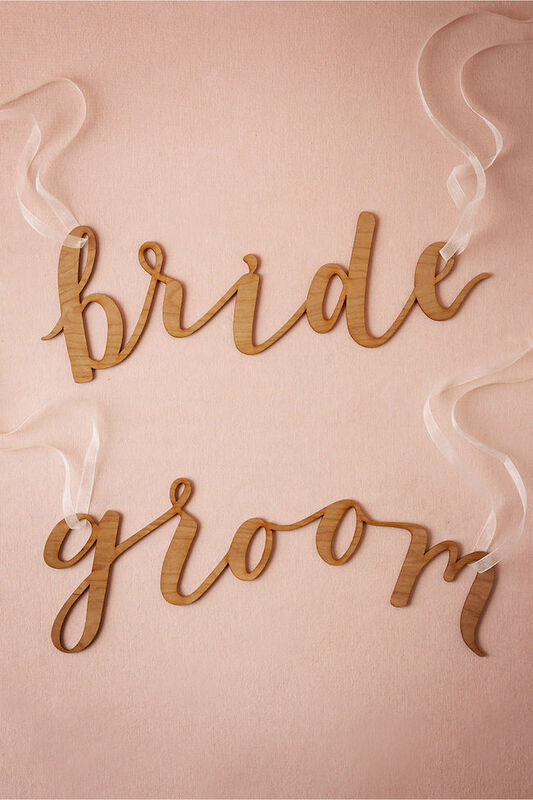 These elegant Bride and Groom Wedding Signs are lazer cut and lovely! Grab them, and a range of other creative signs for your wedding day from the well-loved team at ZCreateDesign, here! 13. Above. 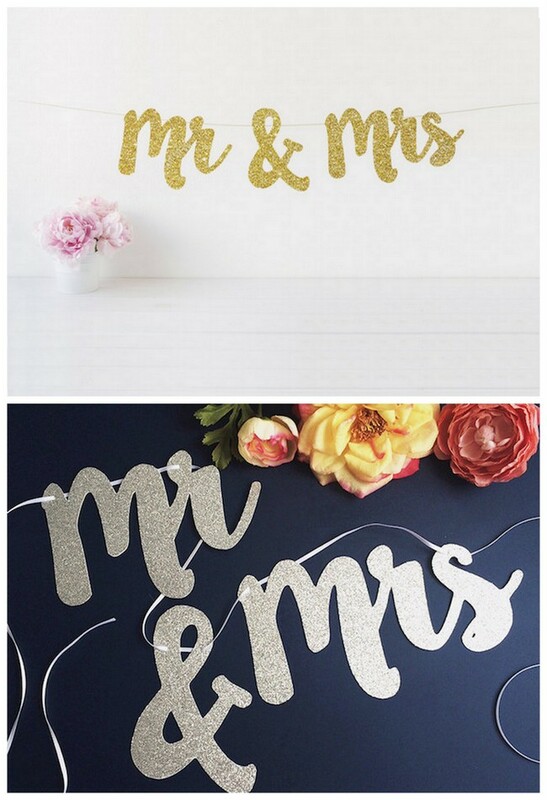 Stunning script style Mr and Mrs Signs precision painted in the colour of your choice – including glitter! So darn cute! Grab them here. 14. Above. True love should be eternal. 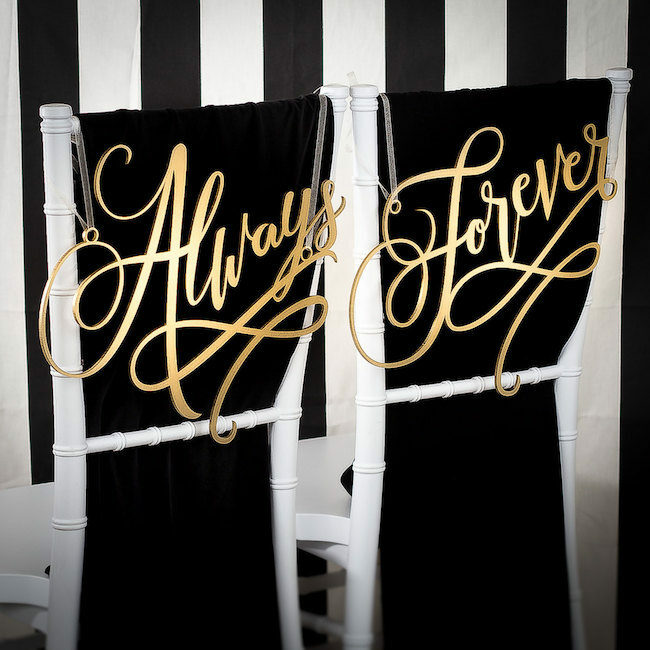 Check out these stylish Always and Forever Wedding Signs from Better Off Wed, available online for order here. 15. Above. Geometric Mr and Mrs Signs for your art deco or mid-century modern wedding available here! // 16. Above. 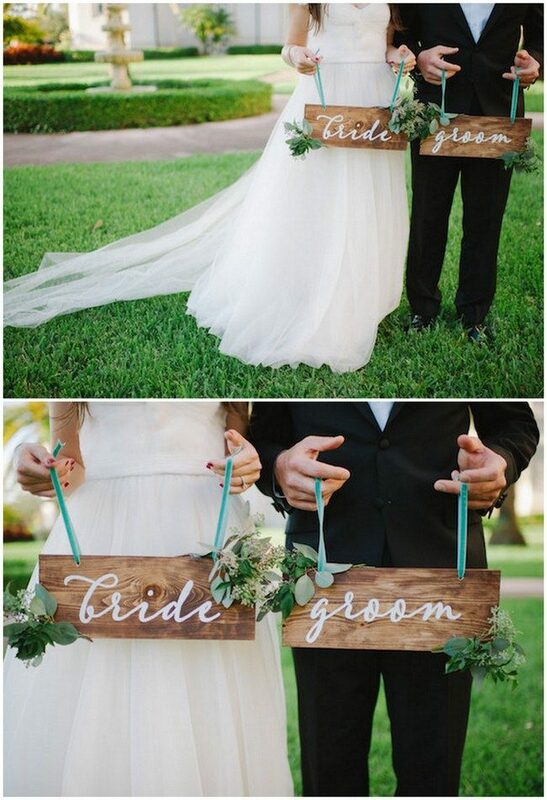 Grab these rustic, driftwood style Mr and Mrs Wedding Signs for your beachy wedding here! 17. Above. 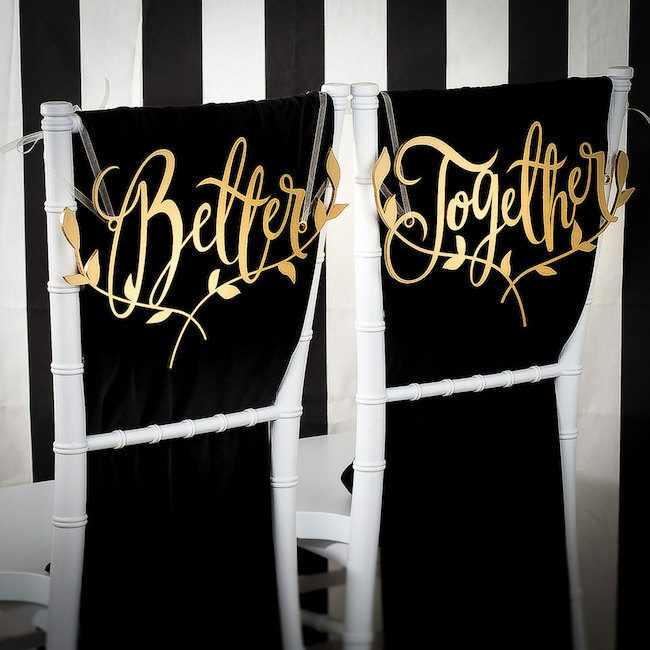 Decorate your wedding chairs with these whimsical, lazer cut Bride and Groom Chair Signs from Z Create design that are also perfect as wedding photo props. 18. Above. These romantic, calligraphy Bride and Groom Signs can also be ordered as groom and groom or bride and bride pairs! Check them out here. 19. Above. 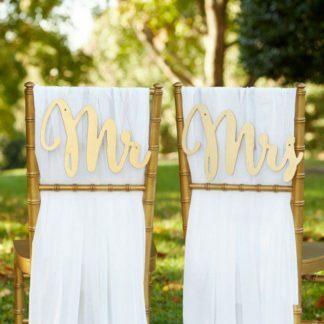 Elegant Bride and Groom Signs in white or gold look great against white, draped fabric. So simply and stylish! Grab them here. // 20. Above. South African couples can get these Mr and Mrs Signs delivered straight to their door – order online from That Little Shop, here. 21. Above. Planning the ultimate glitter wedding? 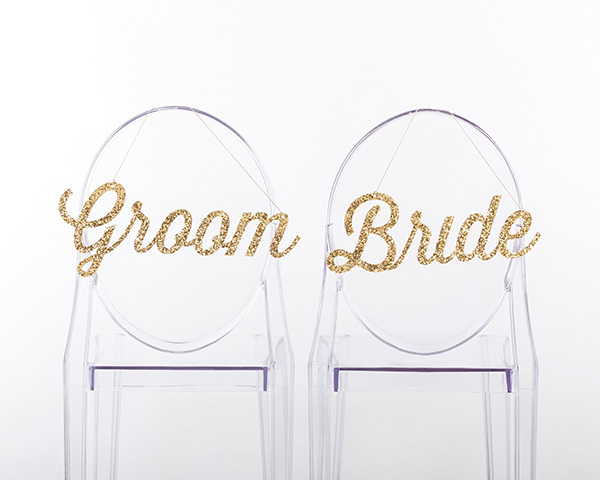 Check out these sparkly, sequin Bride and Groom Signs and add another dash of bling to your wedding!